We’ve all heard the story: a first-time tech entrepreneur has an idea for a break-through product that he builds and gets early user adoption. The product gains traction, he raises seed funding, hires a team, the product is improved, it solves a major pain point and customers love it. The founder raises a large VC round with the mandate to grow and scale the business. The future is bright, but as headcount doubles and triples things start to become difficult because the new employees don’t ‘get’ it and the larger team isn’t gelling — the previously well-oiled engine misfires. The competition catches up while the business flounders, the investors fire the CEO and hire a new CEO. That strategy can be summed up in one word: culture. Cummings realized the value of culture when, during the early stages of a previous venture he had built from scratch, he found himself entirely unenthused about going to work. He was more than a little perplexed by this feeling, so he decided to embark on a process of learning about how to build a culture that made him and everyone else in the company want to go to work. David certainly achieved what he set out to do, the companies he has led or invested in have been awarded Number 1 Best Place To Work in Atlanta numerous times and David was named the Ernst & Young Entrepreneur of the Year winner and one of the 100 Most Influential Atlantans by the Atlanta Business Chronicle. The various experiments he ran at Pardot, including rewarding and recognizing employees who identified the most significant problems within the business. The mistake he thinks most entrepreneurs make when it comes to culture. Brett Putter: Take me through the journey of how you realized that culture was such a critical element of running a business. I felt in my gut that something wasn’t right, and so I started a personal journey of reading as many books as I could around corporate culture, team building and high-performance organizations, and everything else I could think of related to building a winning organization. Naturally, I came across the Jim Collins books Good to Great and Built To Last, as well as several other influential books like Mastering the Rockefeller Habits from Vern Harnish, and other blog posts and articles. I realized that culture was the thing that I didn’t understand at all and that it was the place to start from. I followed an exercise from one of the Jim Collins books. We gathered our senior team in a room for three or four hours to think about which three or four employees best embodied the values we wanted to have in the business. Then we narrowed those values down to 15 or 20 values, and through a process of reflection and debate, we narrowed those down to three core values. The three core values we chose were positive, self-starting and supportive. We set out to use those three values as a lens through which to make all our future decisions. From that point on, there was a lot of trial and error as we worked on different programs, ideas and learnings. We developed several different ways to run the business while putting a focus on those three core values across the company: in recruitment, quarterly reviews, daily check-ins, monthly strategy dinners, quarterly off-sites, in the big scoreboard in the office, and the general day-to-day running of the business. Over time, we did everything with a lot of intentionality so that the three values became baked into the fundamental operations of the company. I started Pardot, a B2B marketing automation company, right around the same time that I was on this journey to understand company culture. I carried the values of positive, self-starting and supportive over from the previous company and because of that, from day one at Pardot, the values were instilled and defined. I was fortunate in that I had the benefit of all the learning that we had accumulated there to Pardot, which meant that we were intentional with our core values and culture from the beginning. At Pardot we were continuously experimenting with ways to live the values and drive them home. We integrated the experiments that worked well into our business processes. The parts that didn’t work well we either experimented with further or killed, so we could move on. Putter: Often companies find it hard to grow from 25 to 50 employees, or from 50 to 100. Did you experience any challenges in that regard? Cummings: We didn’t have any hiccups, which in retrospect, is amazing. As we grew, we worked to incorporate more culture-related elements into our company processes. We tried simple things like an anonymous quarterly employee survey where the first question was the net promoter score question. All the work we did on our culture helped to prepare us for the growth. We did have to implement more processes over time as the organization scaled but having our values and being culture-centric from day one made us able to do it with a framework in place. I am convinced that being extremely culture-centric was one of the defining elements to being able to scale without any hiccups. It showed me that we were doing the right thing. Putter: You mentioned experimenting with your culture. What experiments did you run, and at what scale? Cummings: We did all kinds of things. I read about the Zappos culture deck, so we spent six months building our culture book. We had a physical, beautiful, leather-bound book which described our culture the stories of our people living the culture. When people walked into the main entrance to the office, this gorgeous book on our culture was there on a pedestal in the hallway. That was an example of an experiment that worked out well, so we continued to work on the book and improve it. We also did things like testing the limits on the benefits side. I read an article about how Evernote was offering free house cleaning to all employees. We experimented with that and for over a year we ran a free house cleaning program, where a third-party provider would clean employees’ houses. We looked for creative ways to build out the benefits side and also really drive home the values. I read a book on The Results-Only Work Environment (ROWE) by Ressler and Thompson two of the HR executives at Best Buy, which explores the idea that people can work anywhere, anytime and anyplace, as long as they deliver the results that are expected of them. We worked hard to implement that in the business. In some departments, like engineering and software development, it was much easier to do, while in other areas like receptionists it was a little more challenging. We also did quarterly check-ins, which are similar to employee reviews but we deliberately don’t call them reviews so that it felt a bit lighter. I got that idea from Patrick Lencioni’s book The Advantage, where he presents the idea of having a quarterly process where you ask four key questions: What did you accomplish last quarter? What are you going to do this quarter? How can you improve? How are you following the values? We put those four simple questions into a Google Doc as a one-pager and every quarter we did a quarterly check-in. On the interviewing front, we did a bunch of testing around which questions to use in our interview process so that we could gain an understanding around the values of positive, self-starting and supportive without overtly asking, “Hey, are you a positive person, self-starting and supportive?” We developed a series of interview questions that assessed for value fit, but which, to the interviewee, would merely sound like a typical interview question. The person on the receiving end wouldn’t have known that we were asking specifically because of our core values, but that specific question would give us the insight of the candidate’s fit with our values that we were looking for. So, we experimented in lots of ways and I felt that it was very successful overall. Putter: How did you scale your capability to interview against the values? Cummings: We were growing rapidly and one of the things that we invented or borrowed, I am not sure which, was the Culture Check Team. In the same way that we took the Jim Collins idea of figuring out which people best embody our values, we decided to create cross-functional teams made up of two people from different departments, each of whom represented our values. By the time we sold Pardot, we had three two-person Culture Check Teams in place. One of those teams would interview every candidate who had made it through to the last stage of the process, and they could veto anybody out. That meant new hires required unanimous backing. This team was purely in place to assess culture fit, not for their ability to assess skills or capabilities, as the candidates would have already gone through that with HR screening and meeting the hiring manager and domain expertise assessment. Putter: In terms of how people were recognized and rewarded within the organization – how did you split that between values/culture and results/OKRs? Cummings: We had our goals and our quarterly OKRs, but from a recognition point of view we focused almost exclusively on the culture side of things. Every month we had two categories of awards, one dedicated to the Hero and one dedicated to the Hassle. The Hero of the Month award was essentially employee of the month, and the ‘Hassle’ of the month award was for the idea of the month. For Hassle we set up an idea exchange, which was something like a message board where people could put ideas and then vote the ideas up or down. A hassle could be anything in the business that was slowing an employee down or stopping them from doing a better job – something that literally was a hassle! It could be a software issue, a people issue, an infrastructure issue, such as how long it took to get certain answers for our customers, or there being too few healthy snacks in the break room – whatever people felt was slowing them down from being the best they could be and doing the best work they could do. Everybody got one vote per month per category, so it was a democratic process. Anybody could nominate a potential Hero of the Month or a Hassle. We would do an All Hands meeting every week on a Monday at lunch, where we would cater in for everybody. At the first All Hands of the month, we would recognize the Hero of the Month and the Hassle of the Month. The nominator would stand up and say why they had nominated the chosen Hero and the Hero would stand up and receive a cheer from everyone and be given a $100 bill. For the Hassle of the Month, the person who submitted the chosen hassle would stand up and say why they submitted that idea, suggesting their thoughts on how to fix it; they would also get a $100 bill. Then the people that won the Hero and Hassle of the Month would be awarded a garden gnome, which they could display on their desk for the next month. We were focused on developing a culture of continuous improvement where we were always trying to get better at everything we did. Putter: How did you reward the traditional business metrics? Cummings: We put on a holiday party at the end of the year, and every time we hit a key financial milestone, such as reaching $5 or $10 million in recurring revenue, we would throw a big party and hand out trophies to every employee. Each person’s trophy would recognize them in a funny and personalized way. We modeled that on an episode from The Office, where they had “The Dundees” – these silly trophies that everyone gets. We would repeat this at every key milestone and it was a ton of fun. Putter: How does your approach to running a business differ from the way other CEOs theirs? Cummings: What I’ve found with other entrepreneurs I’ve worked with is that they’ll focus on whatever the pressing issue is at the time and when things are going well, they will forget to keep the focus up across all areas of the business. At Pardot, even when things were great, we were constantly pushing the limits. Most entrepreneurs are typically good at one thing and they’ll spend time on whatever that thing is. Some are amazing at raising money and will keep raising more and more. Others are great at sales, so they’ll spend much time chasing that or doing sales-related stuff. For me personally, I was so fascinated by culture that I just kept doing more and more culture stuff. I had a desire to keep pushing the culture envelope. After selling Pardot, I bought 100,000 square foot building in the financial district of Atlanta and filled it up with 300 startups. That became the next evolution of experimenting with culture. With Pardot, my focus was culture in one company, one team and myself as the CEO. My focus shifted. I wondered what it looks like to build culture in an organization where you aren’t CEO and don’t control who is hired or fired, but where you still want to create the best place to succeed. 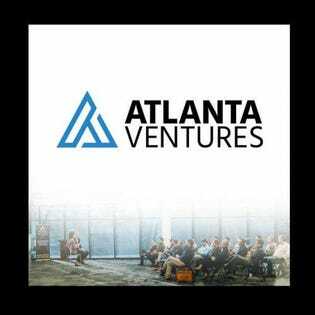 We want to nurture the best generation of entrepreneurs at the Atlanta Tech Village and we’ve developed a type of meta-culture: the village has its own culture, but it’s also got all these sub-cultures within it that are completely independent. I’m fascinated by how we can help these companies succeed and as a culture junkie that is my next evolution. Putter: How many of your portfolio companies care about developing a strong company culture? Cummings: The right answer is that people don’t care about culture until something goes wrong or the organization doesn’t execute as well as was expected. An excellent example of this is one of the companies that I’m deeply involved in called Salesloft. It’s a fantastic business which is now eight years old and has about 400 employees now. The first couple of years were a real challenge because the culture wasn’t a priority and we made a number of mistakes. We focused down on the culture after those mishaps and for several years in a row now, Salesloft has won the Number 1 Place to Work. From a business point of view, the resulting growth, scale and success speak for themselves. It’s a rocket ship business with an incredibly strong culture at its core, which makes me believe that it can continue to scale indefinitely. I espouse culture a lot and I would love for more entrepreneurs to care and be more deliberate about it. Apart from a small percentage of founders who get it from the outset, the value of a purposeful and strong culture isn’t driven home until a significant challenge or serious setback occurs in the business. That’s typically when I can point out how and why this challenge would have been avoided with a strong culture in place. No matter how much I talk about it, lots of entrepreneurs don’t pay deep attention until it affects them. Once they feel the pain though, they start listening very closely!